Canon 400mm f/4 IS DO lens (handheld) with the EOS-50D. ISO 800. Evaluative metering +2 stops off the sky: 1/2500 sec. at f/4 in Manual Mode. Over the past week or so I have been blessed with cloudy afternoons for my health walks. I always have a lens or two on the car seat ready to go when I head down to the lake. There seem to be more pairs of Ospreys than ever before. Though the central sensor only was used to create this image and the sensor was on the birds’ chest, the eyes are beyond razor sharp. I did clip one primary tip and used the Quick Masking techniques detailed in APTATS to replace the missing feather tip. To learn more about APTATS, click here: http://www.birdsasart.com/aptats.htm. The original is below. I have begun working more with ISO 800 on the 50D and am finding that as long as you expose to the right that the problem is more than manageable. Before adding the wing tip I rotated the image about 7 degrees by running the Ruler Tool through the two pupils and then using Image/Rotate Canvas/Arbitrary. Then I added canvas the fast easy way and did my Levels Adjustment. I used Average Blur Color Balancing to remove the reddish cast from the blacks. All of the techniques mentioned above and tons more are detailed in our Digital Basics File: http://www.birdsasart.com/digitalbasics.htm. Do see the 50D settings entry on the blog to learn how I am trying to solve (or reduce) the 50D red/magenta cast problem with my Picture Style settings: www.birdsasart-blog.com (and scroll down). As with any new endeavor, blogging has a learning curve. At first, I had no idea what I was doing. Then, I learned that the images were being distorted by several browsers. We solved that but soon realized that the images were too small. Now, if you click on the image you will see a much larger JPEG that is sized the same as the Bulletin images. I will be working on my taxes soon and then leaving for six weeks (see item next). At some point we will be customizing the blog. For now, we are good to go as I know how to make posts quickly (even from the road) and to get the images upsized so that folks can enjoy them. Life is good. If you have not checked out the BIRDS AS ART Blog, you can do so by clicking here: www.birdsasart-blog.com. Scroll down to explore. In the March 29 post, in response to popular demand, I share all of my Canon EOS-50D menu and custom function settings. Most include comments and explanations. Other recent posts include the humorous “Captain Froggie and the Alafia Banks; Near Dunking or Near Drowning?” and “Using All Focusing Points for Erratic Flight and Action.” Feel free to leave comments or ask questions on the blog. Canon 800mm f/5.6 L IS lens with the EOS-50D. ISO 400. Evaluative metering +2/3 stop: 1/1600 sec. at f/7.1 in Av mode. For years I have dreamed of making a Spring Warbler Chase Trip by SUV. I will be leaving home with my Sequoia packed midday on April 13th and will not be back in the office until the late afternoon of May 26th. I am meeting Chris Dodds in Tampa on the afternoon of the 13th. He is flying from Montreal and will be with me for the first two weeks of the trip. He will fly home from McAllen, TX on May 1 but I will hook up with him again in Point Pelee to co-lead his warbler workshop a week later. (See the Chris Dodds item below). Our first stop will be Dauphin Island, Alabama (April 16 thru 19). Thanks to Chas Mc Rae for the DI tutorial! Next will be Mike Murphy’s Los Madrones ranch in Travis County, TX, April 21-23. Learn more about Los Madrones here: (http://www.losmadrones.com/Los_Madrones/Home.html). Our target bird is Golden-cheeked Warbler, a Hill Country specialty species. Chris and I will spend the next week doing some Texas Valley ranches or chasing migrants on South Padre Island, or both. After dropping Chris off at the airport I will be spending three or four days at the Cozad Ranch in Linn, TX. Learn more about Johnny Cozad’s great property here: http://www.cozadranch.com/. Early May is prime time for Painted Bunting…. You can check out my Cozad Ranch caracara image by clicking here http://www.birdsasart.com/bn171.htm and scrolling down. It can be great for Crested Caracara and Harris’s Hawk at various seasons. I may or may not spend a day at High Island, TX before making the long drive to Pt. Pelee. I need to be there on the late afternoon of May 7th. After co-leading with Chris at North America’s holy grail warbler location, I will drive over Lake Erie, through Buffalo, NY, and eventually make it to my Mom’s in Holbrook, NY about 60 miles out on Long Island. Then there will be another long drive to Monterey, VA where I will be meeting Dean Newman to photograph nesting Mourning and Golden-winged Warblers in the mountains just east of the VA/WV border. I drive to Lorton, VA on the morning of May 25th, hop on the Auto Train, and arrive in Sanford, FL mid-morning on May 26th. From there it is a 2+ hour drive to my home in Indian Lake Estates. Then I’m home for five full days before flying to Anchorage for Bear Boat #1. You gotta love it. Wish me luck. If you live anywhere along the route and would like to explore the possibility of spending a day in the field with me, please call or e-mail to inquire about rates, scheduling, and terms. Canon 500mm f/4 L IS lens with the 1.4X II TC and the EOS-1D Mark II. ISO 250. Evaluative metering +1/3 stop: 1/400 sec. at f/11 set manually after histogram check. This hard to find species was photographed at a feeder set-up in a park about an hour from Pelee on my last visit to Leamington. I am anxious to get back! To learn how to create feeder set-ups and design a backyard photo/feeder studio, check out the Practicalities Chapter in my CD book, “The Art of Bird Photography II.” Learn more or order here: http://www.birdsasart.com/ABPII.htm. More than 4,200 sold all over the world to rave reviews. The huge success of Bird Photographers.Net (Honest critiques done gently: www.BirdPhotographers.Net) was not unexpected but none-the-less, it has been gratifying, satisfying, and thrilling. Our crack staff of moderators and owners has been working hard to provide honest critiques done gently. I have been pounding the boards for nearly two weeks now. Here is a comment made by new member Zenon Char: There is a lot of great info on that thread. Thanks for posting the link. I skimmed through but got the idea. I bookmarked it and will give it a good read. Is there ever a lot of information in the Educational Resources Forum! Wow, what a website this is. My head is starting to swim. Ákos Lumnitzer’s “Laughing Pelican,” here: http://birdphotographers.net/forums/showthread.php?t=32951. I realized while locating these two threads that one of BPN’s great strengths is its worldwide appeal and participation. Ákos is from Australia and Paul from British Columbia. Canon 800mm f/5.6 L IS lens with the EOS-1D MIII. ISO 800. Evaluative metering +1 2/3 stops: 1/80 sec. at f/7.1 in Av mode. Early spring can be magic at ILE. I was walking the tightrope here trying to balance the ISO and the shutter speed while at the same time getting a bit of extra depth-of-field. It worked! I placed the central AF sensor on the adult’s breast to wind up with a pleasing composition. EH: A question just came to mind while looking at one of your bulletins. What do you recommend as a hand-holding birds-in-flight lens? AM: Most any telephoto can be handheld for flight photography. In the past, I made a very few good flight images with my 600mm f/4, and more recently, with my 800 f/5.6. My very favorite lens for general handheld flight photography is the Canon 400mm f/4 IS DO lens. (Before I fell in love with this lens I used the older Canon 400mm f/5.6L lens. It is still a great flight lens. It is much lighter than the 400 DO, costs a heck of a lot less, but is not an Image Stabilized lens and at f/5.6 is not as fast.) When you are photographing birds at varying distances from your position, the Canon 100-400mm IS L zoom lens is often best. And either the 300 f/4 or the 300 f/2.8 lenses also make excellent flight photography lenses, the latter is the favorite of many of the world’s premier hawks-in-flight photographers like Brian K. Wheeler, Ned Harris, and Jim Zipp. EH: I note that you often use the 70-200mm f/4 with and without the 1.4x II TC. AM: I use it mostly without the teleconverter and mostly with the Canon EOS-50D and its 1.6X multiplier effect. AM: Yes. I love the f/4 for its light weight; it rides easily on my shoulder. EH: Or, for this purpose is there another lens even better than the 70-200mm? AM: As I said, many different lenses can be used for photographing birds in flight. Choosing a lens for flight photography depends a lot on the situation: how close will you be to the birds and how large are the birds? In Homer, AK, for example, the 70-200s ruled the roost as the eagles were so, so close. At Bosque for the most part, you need a long lens on a tripod as the birds are usually a good distance away. Though the Canon 400mm f/4 IS DO lens is my favorite lens for general handheld flight photography, I often turn to other tools to get the job done right. Canon 400mm f/4 IS DO lens handheld with the EOS-50D. ISO 640. Evaluative metering + 1 2 /3 stops off the sky: 1/1000 sec. at f/4 in Manual Mode. Click on the Sanderling image to see the BIRDS AS ART Live Books Gallery or follow the various links for some great stuff. presentations followed by a Q/A period. How to identify prospects who can give you what you want. Drive More Business with Your Website! challenges professional photographers are facing today. I will be co-leading a Warbler/Songbird Workshop at Point Pelee this spring with Chris Dodds. Join us for warblers, tanagers, orioles, thrushes, woodpeckers, and lots more. We expect both Northern Oriole and even Red-headed Woodpecker. Warbler photography is both challenging and weather-dependent but with two experienced leaders visiting this prime location on the perfect dates, your chances will be maximized.
. May 8 to 12, 2009. 5-DAY: $1,695.00 per person CDN. Limit 6; openings: 3. There is room on Monsieur Dodds amazing Gannets Galore workshops this June. The coolest thing about these trips is that you can come a day early, stay a day late, and enjoy five great days of photography. 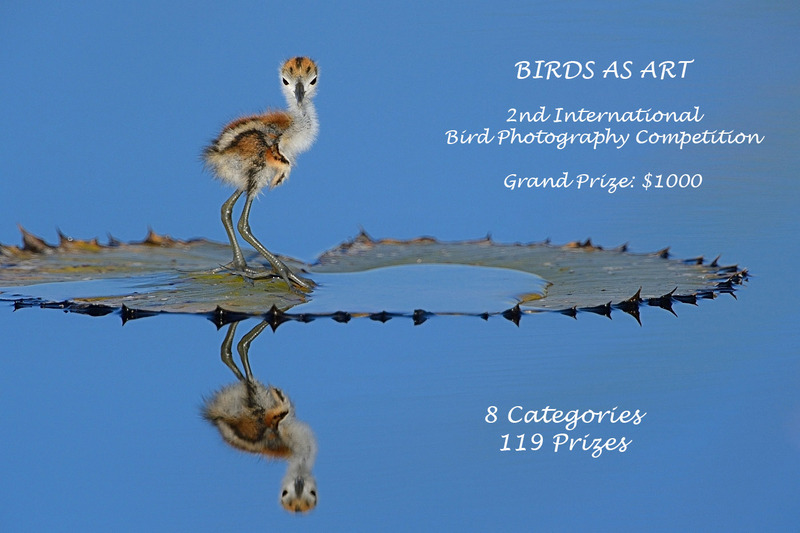 You can see my images from last June here: http://www.birdsasart.com/bn264.htm All of the images in that Bulletin were created on a single five day trip and I wound up entering two of them in the 2009 BBC Wildlife Photographer of the Year Competition. You can find the complete details (including travel info and unsolicited testimonials) here: http://webfarm.foliolink.com/Asset.asp?AssetID=13967&AKey=HKP7BK55. To register try Chris at home at 1-450-827-1007 or on his cell: 1- 514-945-6195. Be sure to leave a message if there is no answer and follow that up with an e-mail to chris@chrisdoddsphoto.com. Canon 400mm f/4 IS DO lens and the EOS-1D Mark III. ISO 400. Evaluative metering +1 2/3 stops off the sky set manually: 1/800 sec. at f/4. Fill flash at +1 stop with Better Beamer. Mongoose M3.5 on the Gitzo 3530 LS tripod with the Mongoose Integrated Flash Arm. With the white skies I used lots of flash to make the whites really white. I used 45-point AAFPS to hold focus. Join Chris or Chris and me in Gaspe this June. If you are curious about either of the bear trips or have any questions and would like to explore the possibility of joining me for the trip of a lifetime, please e-mail (birdsasart@att.net) or call me at 863-692-0906. I will do my very best to make it happen. Canon 500mm f/4L IS lens with the EOS-Mark III. ISO 800. Evaluative metering +1 2/3 stops off the river: 1/320 sec. at f/4 set manually. NEW: SW FLA PRESIDENT’S DAY IPT: FEB 12-17, 2009. Slide program on the evening of FEB 11. 6-FULL DAYS: $2799. Limit: 10/Openings: 7. Co-leaders: Alfred and Fabiola Forns. Escape winter’s icy grip and join me in Florida in the land of ridiculously tame birds. This IPT will visit Little Estero Lagoon which has been fantastic for the past three years (and been getting better each year), the Venice Rookery, several killer Burrowing Owl nests on Cape Coral, and several spots on Sanibel including Blind Pass, the Sanibel Fishing Pier, and the East Gulf beaches (for Snowy Plover). If we have a foggy drizzly morning we may visit Corkscrew Swamp and Sanctuary. We have arranged for morning low tides at Little Estero and a setting full moon for our Saturday visit to the Venice Rookery For the first time ever, we will not be visiting Ding Darling NWR as photographic opportunities there have been diminishing steadily for the past decade. As you can see, I am teaching less and less, taking fewer folks, and lengthening the IPTs to allow for a slightly more relaxed pace with repeat visits to the best locations. Canon 800mm f/5.6L IS lens with the EOS-1D Mark III. ISO 1000: 1/60 sec. at f/5.6. When you are confronted with a great situation, look to vary your focal length and your mental approach to image making. Below you will find several vastly different images from that same morning. The image above is a two-frame stitched pano created at 7:33 am. Canon 70-200mm f/4L IS lens (handheld at 121mm) with the EOS-1D Mark III. ISO 640: 1/60 sec. at f/5.6. Above is four-frame stitched pano that was created at 7:39 am as we approached the flock slowly. Canon 800mm f/5.6L IS lens with the EOS-1D Mark III. ISO 800. Evaluative metering +1/3 stop: 1/125 sec. at f/5.6. Mongoose M3.5 atop the Gitzo 3530 LS. The image above was created at 7:42:01 am just minutes after the sun cracked the horizon. Canon 800mm f/5.6L IS lens with the EOS-1D Mark III. ISO 800: 1/100 sec. at f/5.6. Above is a three-frame stitched vertical pano. I created this one to feature the soft light on the trunks of the red mangroves as well as the ibis flock. I began creating the images for this pano at 7:42:29 am, less than 30 seconds after making the image above. When conditions are good you need to think and work fast in order to maximize your results.